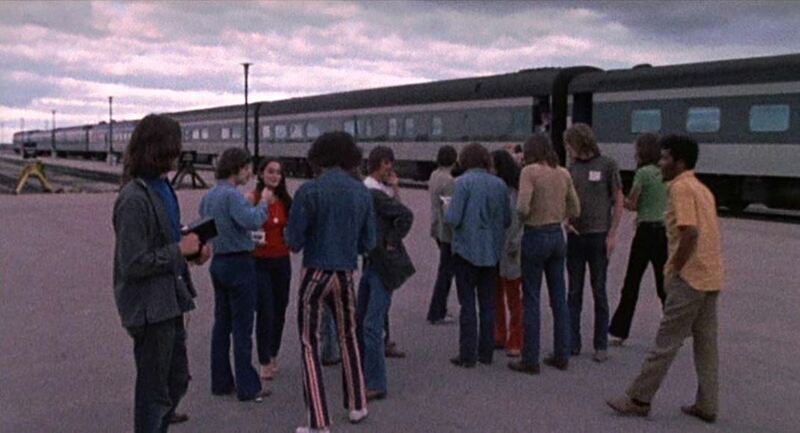 Way back in the summer of 1970, a bunch of filthy, dirty hippies…er, I mean MUSICIANS, traveled across Canada by train in what became known as the Festival Express. 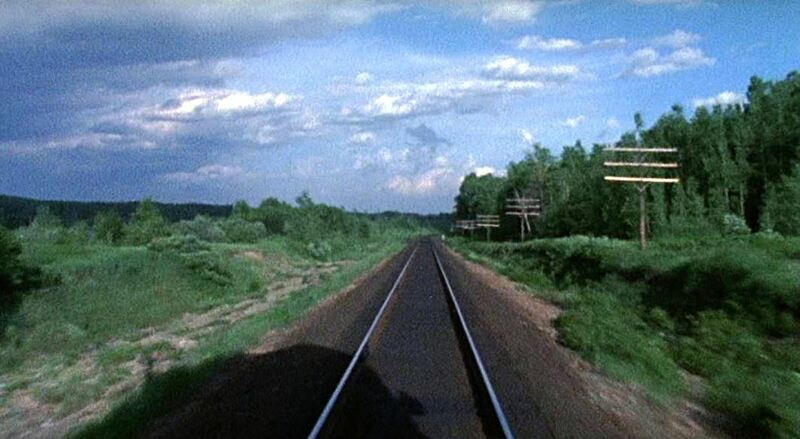 33 years later, film of that journey surfaced and was transferred to DVD by the good folks at Shout Factory. 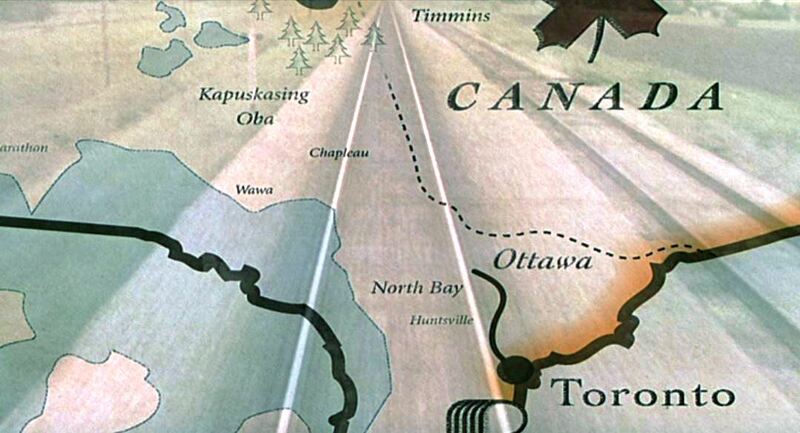 To get the various bands from Toronto to Winnipeg and Calgary, their promoter chartered a complete trainset from Canadian National Railways. 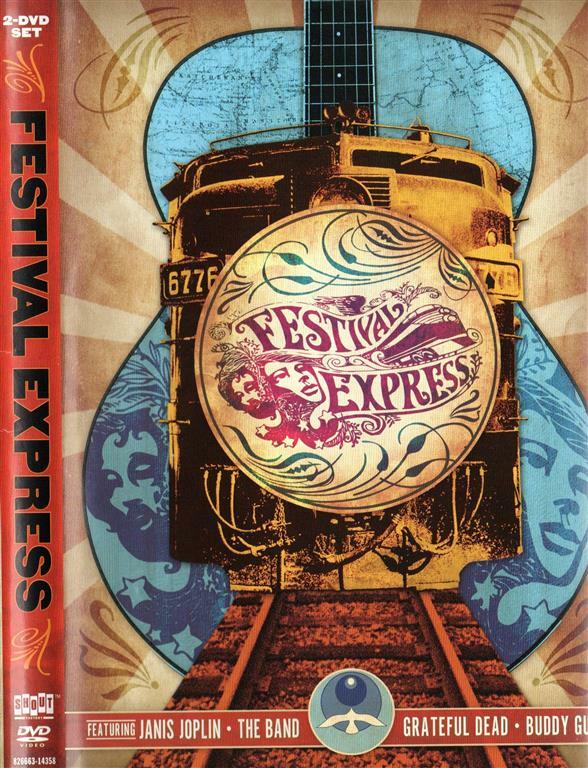 This movie is the story of that train ride with copious amounts of concert footage thrown in for good measure. 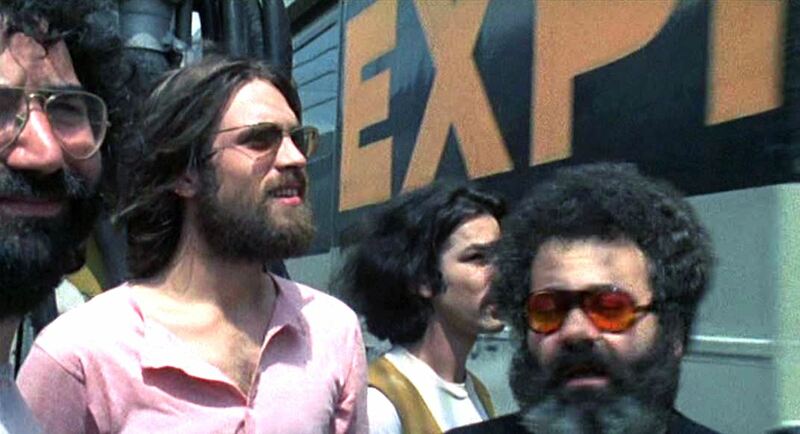 Of course, I’m going to concentrate on the train bits as I never was a big fan of those particular artists (Grateful Dead, Sha Na Na, or that shrieking druggie, Janice Joplin, for example). Let’s Go C.N.! and find out what those kids did to that classic passenger equipment (shudder). 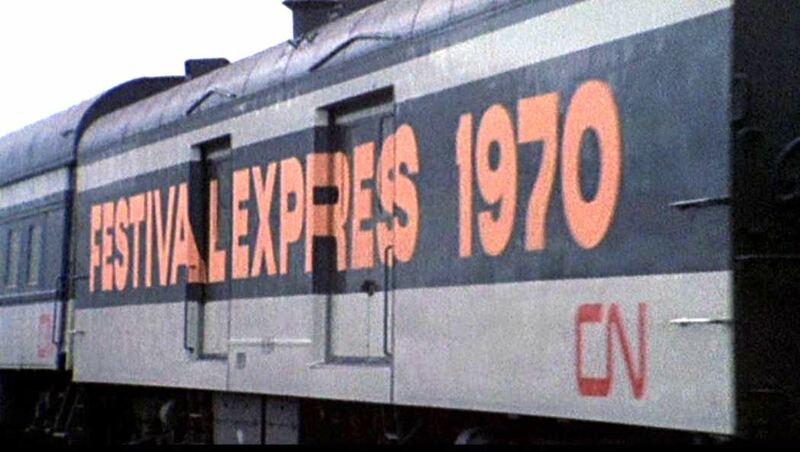 The tour’s moniker is splashed across a CN baggage car in Day-Glo Orange for all to see as the train rumbles west. 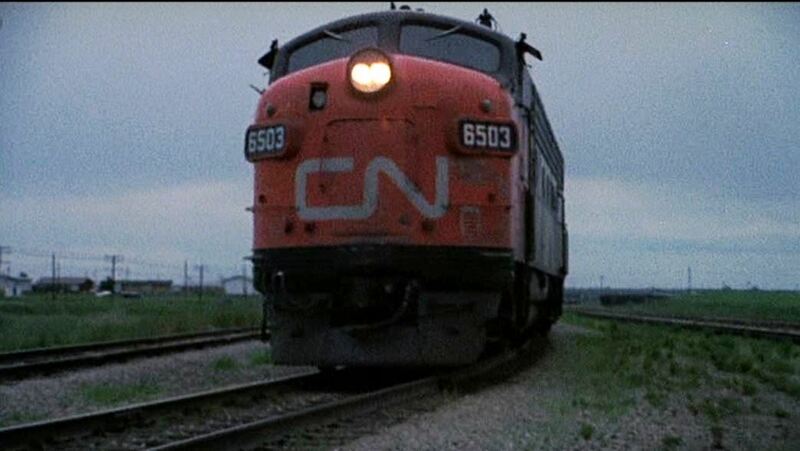 The opening credits roll on a cloudy day and reveal the classic lines of CN # 6503, a GMD FP9A, Class GPA-17a built in October 1954 leading its train past the camera. On a nicer day, a couple views out the back of the train. Two-story CN depot somewhere…couldn’t make out the station sign. 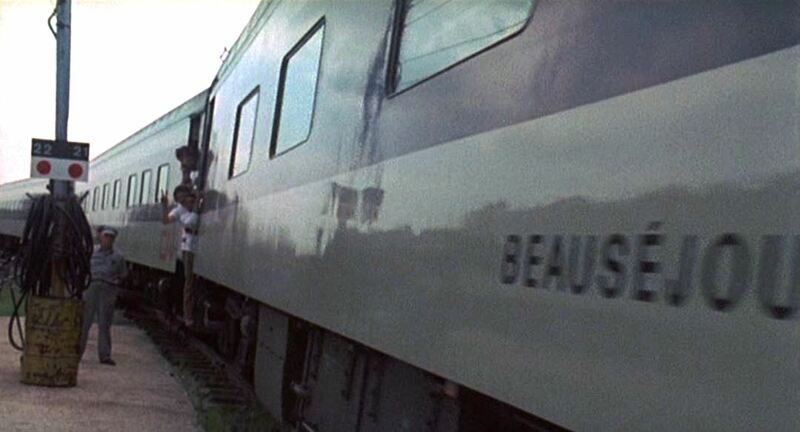 Bearded musicians waiting to board in Toronto as the consist pulls by; CN sleeper “Beausejour” (translates from French to English as “Nice Stay”). 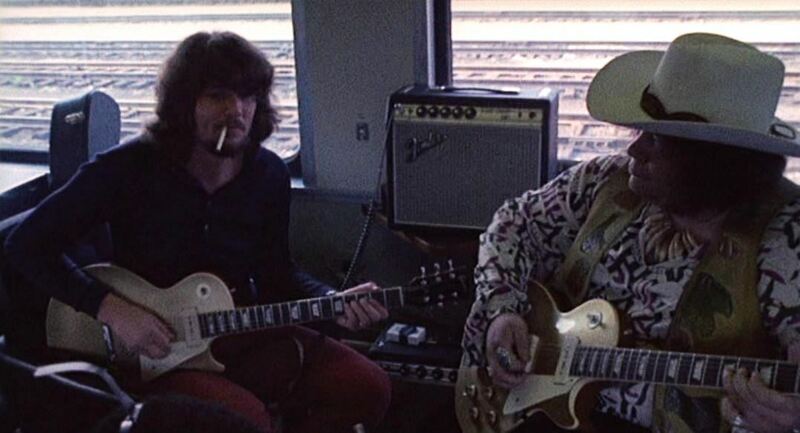 Jam session on board the train; standing by the car’s vestibule. 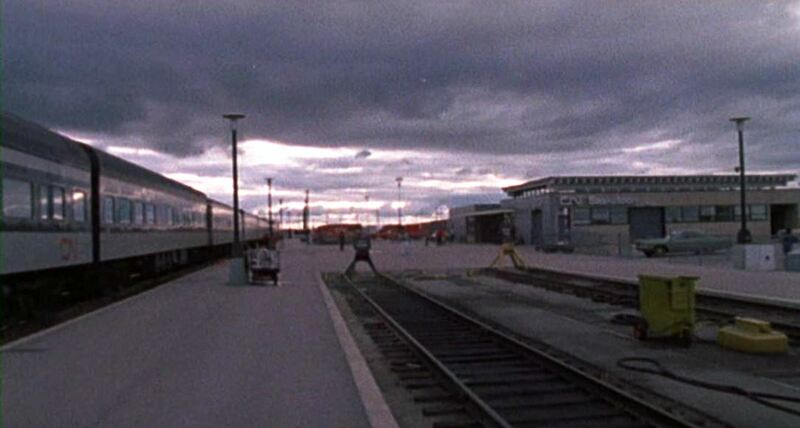 The filmmakers seemed to favor split screens when conducting interviews — with train action on one side. 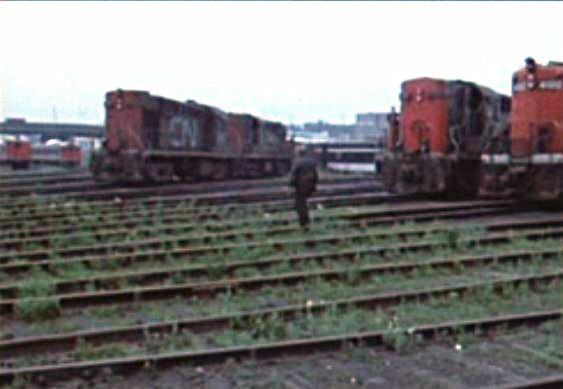 Here we see the train’s consist being switched (note the piggyback trailers for carrying the groups’ gear to and from gigs) and a nice set of A-B F units (probably passenger power for the Festival Express). 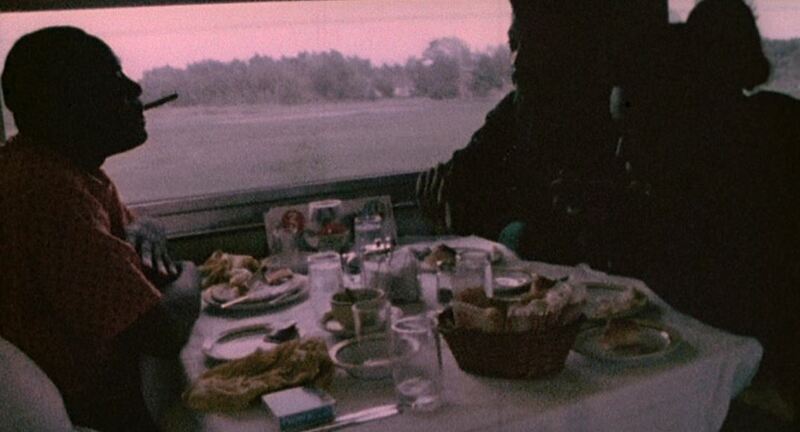 The promoter, Ken Walker came across as rather creepy, but he did haggle with CN and made sure the bands had a full dining car in the consist as well as a place to play (baggage car with electricity) and sleep. A silhouetted artist smokes it up in the diner. 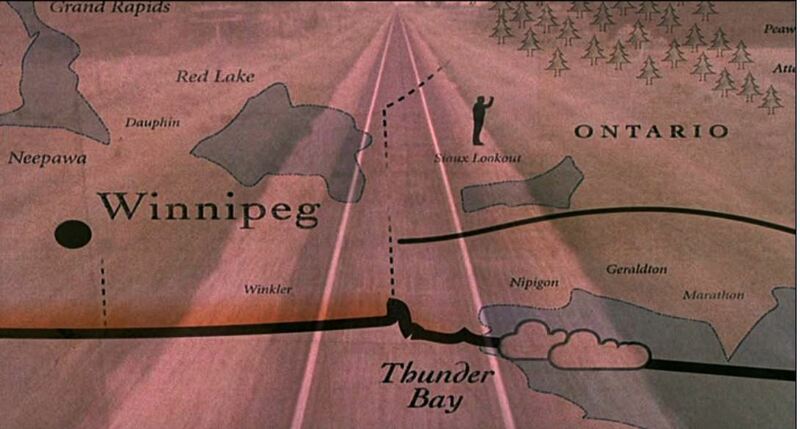 A series of maps charts the Festival Express’ progress from Toronto to Winnipeg. 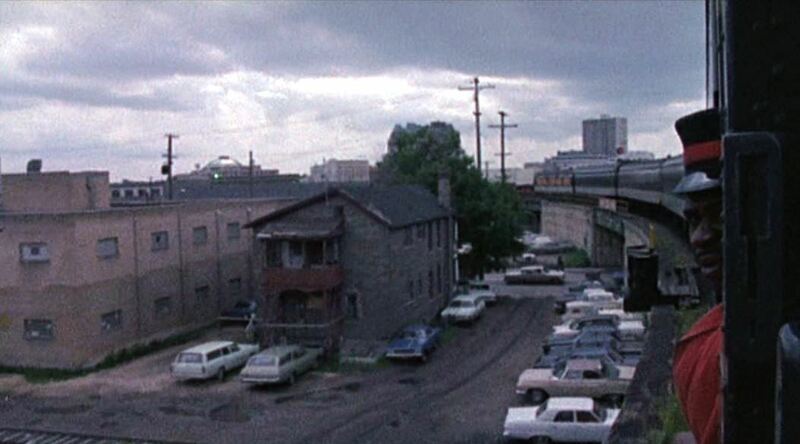 As artists hang out at an open dutch door, the train rolls into Winnipeg on an elevated right-of-way (note the piggyback trailers up front by the power). 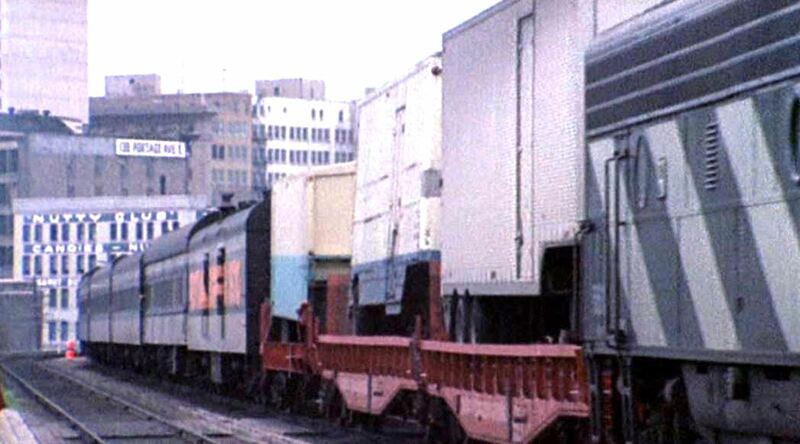 The next morning after the Winnipeg show, we get our best look at the entire consist as it leaves town. 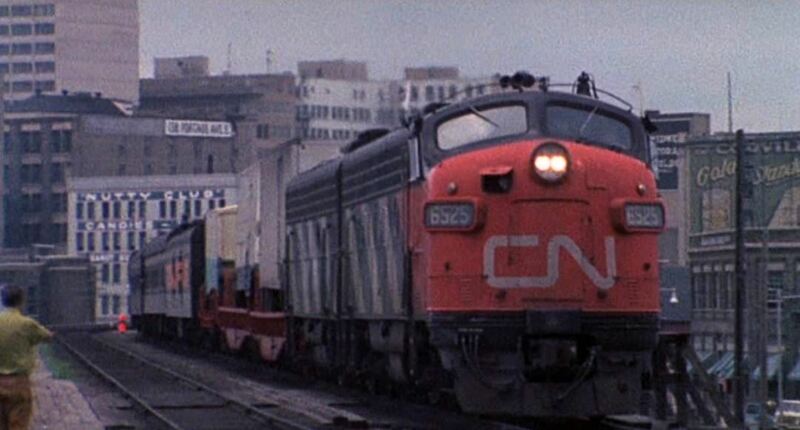 CN 6525 – another FP9A and B unit trundles the travelers westbound on the long pull to Calgary. 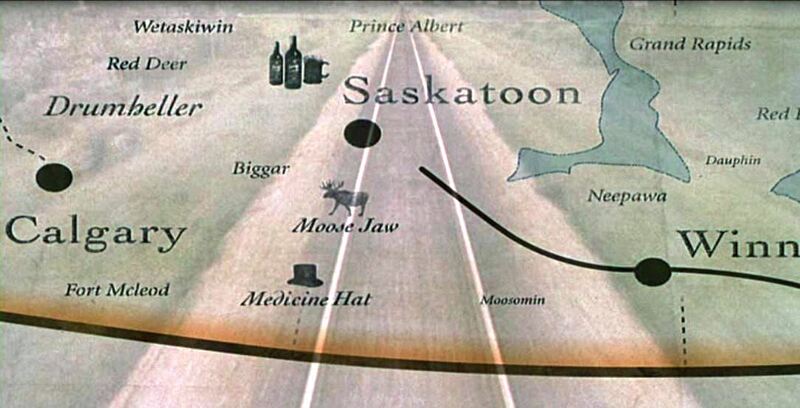 Rolling across Saskatchewan, they ran out of booze. 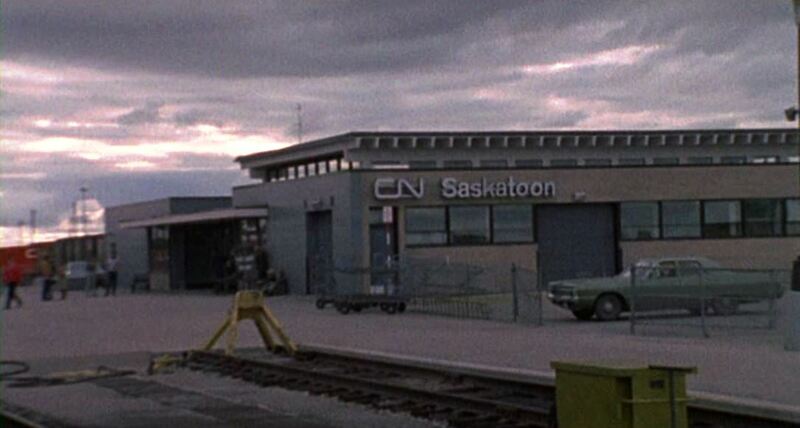 Underneath turbulent skies, the train makes an unscheduled stop at the Saskatoon CN station. A hat is passed among the travelers, and management literally buys up the entire stock of a nearby liquor store. 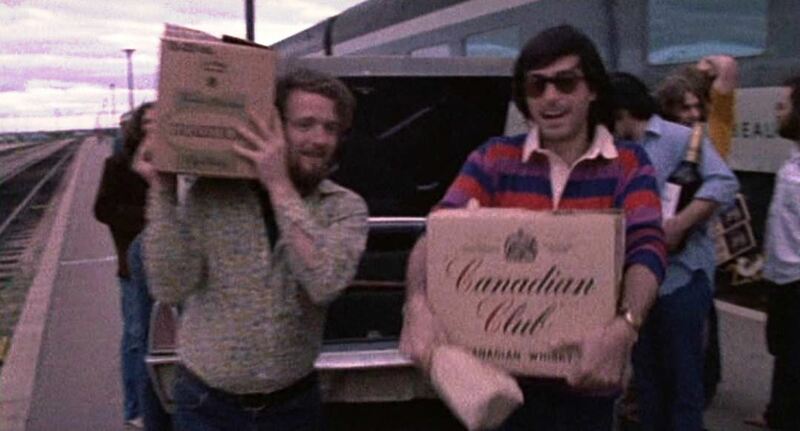 Boxes of hooch make for happy hippies and a Cadillac El Dorado’s trunkful of Canadian Club whiskey is unloaded alongside sleeper Beausejour. 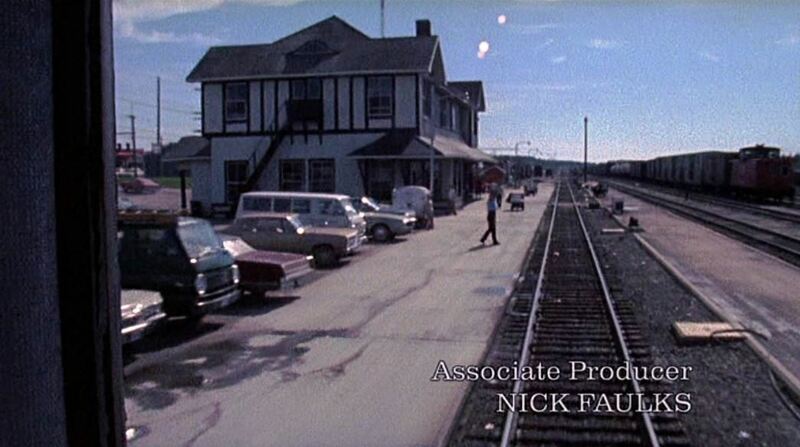 Just before the credits roll, the camera pans across an eclectic assortment of CN power as a trainman crosses the tracks. 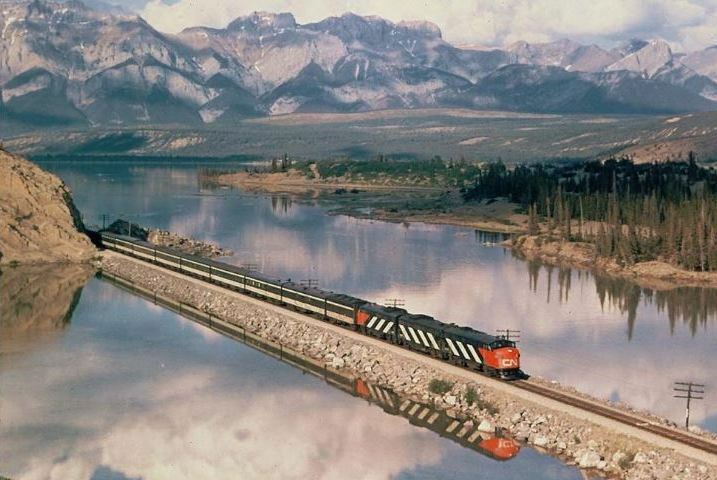 AND…just because my screen caps were so grainy, here’s a cleaner, clearer image of CN’s flagship train, The Super Continental in its heyday, somewhere out near Jasper National Park. 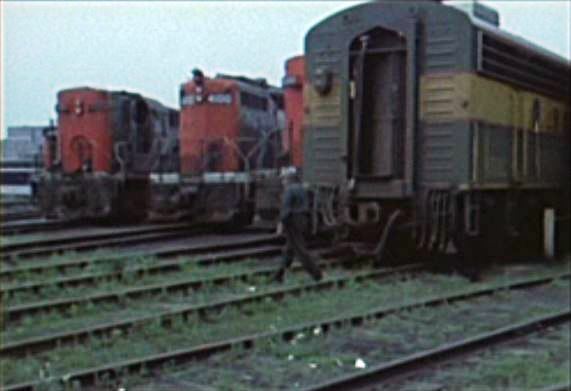 As train movies go, this one is pretty obscure but definitely worth a look for the classic locomotives and passenger equipment. The artists really traveled in first class style — So much so, that the promoters actually lost money on the deal. 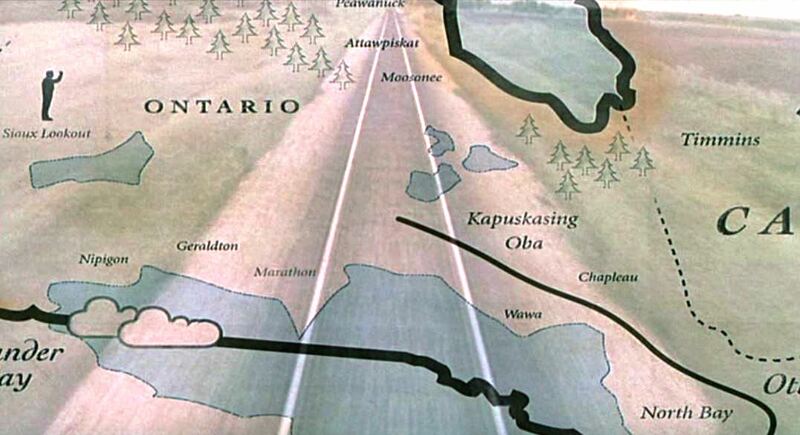 Still, it’s a brief snapshot of the classic 1970 railway operations of our neighbors to the north. Beauty, eh? 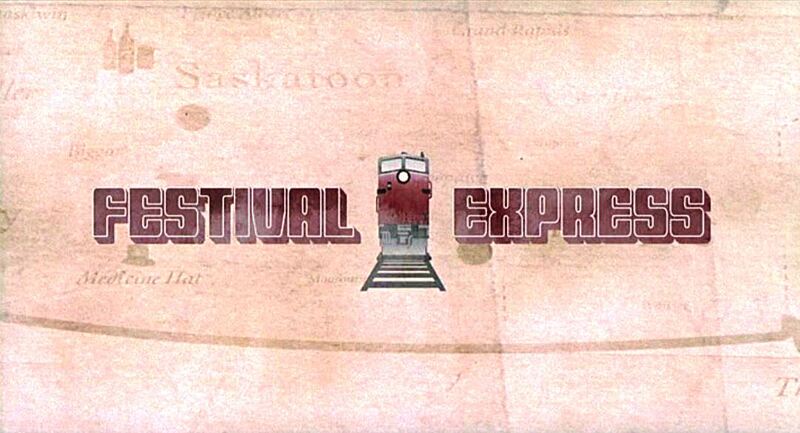 This entry was posted in Uncategorized and tagged 1970, Beausejour, Calgary, Canada, Canadian National Railway, Festival Express 2003, Grateful Dead, Hippies, Janice Joplin, Saskatchewan, Saskatoon, Super Continental, Toronto, Winnipeg. Bookmark the permalink.